Chemophobia is spreading despite our world becoming a cleaner, safer place. People are becoming healthier, and product safety regulations are becoming stricter. The supposed onslaught of chemicals that these special interest groups describe simply isn’t happening. Perpetrators of chemophobia create unnecessary guilt, stress and anxiety as consumers worry about making the right choices for their family. Consumers are the victims in this battle as pro-natural and anti-natural businesses spread fear about each other’s products. This book analyses psychological quirks, evolved millennia ago, that prime us to fall victim to chemophobic ways of thinking such anorexia, a fear of vaccines, a fear of fluoridation or a dangerous fear of synthetic medicines. It explores how consumers, teachers, doctors, lawmakers and journalists can fight chemophobia by tackling the social issues that underpin it. The “deficit model” is a widely criticized theory that suggests that people who harbor attitudes of negativity or indifference towards science (in this case, chemistry) do so because they are uninformed about the topic (Chinese: 无知). People’s misinformation might come from a lack of interest, a lack of exposure or an experience of poor science outreach in the past, where incorrect messages were delivered. The “deficit model” stipulates that if people knew more about science, they’d naturally become more interested in it. Unfortunately, it doesn’t always seem to work, and the ‘model’ is subjected to routine criticism. Critics of the “deficit model” tend to advocate solutions that involve dialogue (rather than monologue) with the public. Dialogue works better when the particular public audience in question has pre-existing views about the scientific topic being discussed (called ‘affected/partisan’ public groups). There are four main types of ‘public’ audiences. The table below summarizes each of these types and how to engage with them, and is adapted from Canek Phillips report from 2013. Table 1 from Phillips & Beddoes (2013). Click to download. The general public consists of people with diverse views that represent a cross-section of society. In a group, these views cancel out somewhat, hiding the deviation of views. The “deficit model” of monologue delivery is an effective way to engage such a group. The pure public is a group of people who have no pre-existing ideas about the topic being discussed. The “deficit model” can engage these audiences as well. The affected public can only be engaged if their pre-existing views are acknowledged and respected beforehand. Dialogue is an excellent way of doing this. Examples of dialogue-based approaches include science shops, public hearings, citizen judies, stakeholder consultations and focus groups. The partisan public is sometimes led by charismatic leaders or lobby groups. Their views might have been shaped by influential figures (e.g. Mercola, Food Babe) and the pre-existing views (misconceptions) delivered in this way need to be debunked through respectful dialogue rather than monologue. We overestimate danger when we’re not in control, such as flying as a passenger in an aeroplane. Humans are irrational beings. Smoking kills 480,000 people per year in the United States, while an average of 170 lives are lost to terrorism each year in the same country. Counterintuitively, terrorism receives more media attention than smoking despite having a relatively tiny risk because we’re predisposed to fear dangers imposed by other people more than dangers with which we choose to engage ourselves. Another great example is aeroplane crashes. Airlines today have an excellent safety record and flying is usually the safest mode of transport (safer than making the same journey by road or rail). We overestimate the dangers of flying on an aeroplane because someone else is in control. Conversely, because summer heat waves are a natural phenomenon, we’re prone to underestimating their danger: tens of thousands of people die from excessive summer heat each year in the United States alone. Our ‘perceived risk’ almost never matches the ‘actual risk’. In the bubble chart below, the area of the circles above the line represent how much we worry about each risk. The area of the circles below the line represents the actual size of the risk in terms of how many people are harmed each year. In many cases, there is a huge disparity between ‘perceived risk’ and ‘actual risk’. The table below shows the factors that increase and decrease our perceptions of risk. This strange psychological quirk is one of the roots of chemophobia that I discuss much further in my upcoming book, Fighting Chemophobia (coming out late 2017). The wines your great-grandchildren might one day drink on Mars will soon be coming to a bottle near you. Ava Winery is a San Francisco-based startup creating wines molecule by molecule, without the need for grapes or fermentation. With complete control over the chemical profile of the product, Ava’s wines can be created safely, sustainably, and affordably, joining the food technology revolution in creating the foods of the future. Ava Wines’ business model is somewhat akin to the Star Trek replicator! For Ava, foods in the future will be scanned and printed as easily as photographs today. 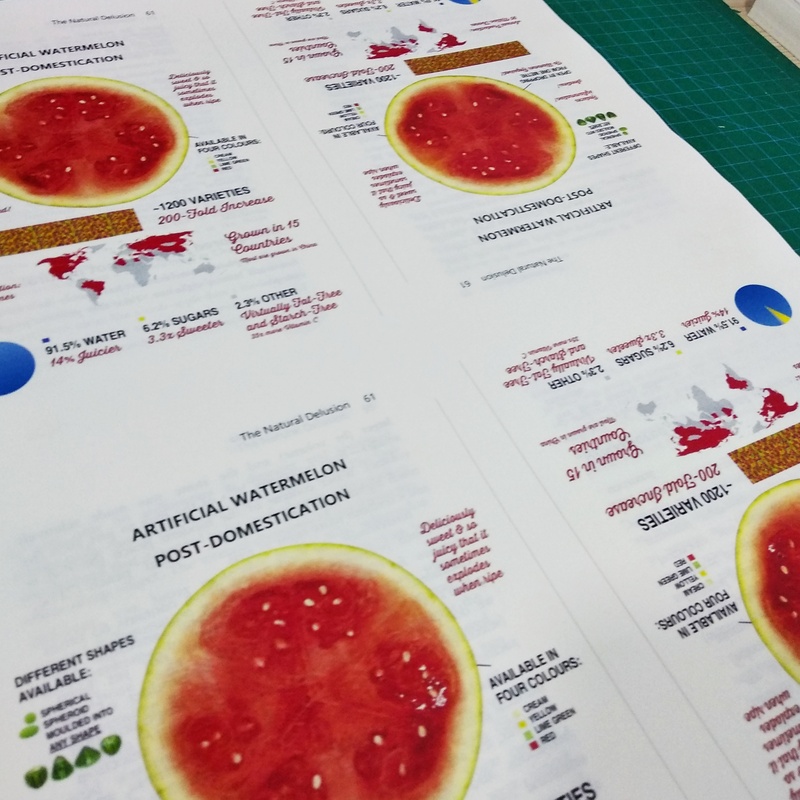 These digital recreations will be more than mere projections; they will be true chemical copies of the originals, capturing the same nutritional profiles, flavors, and textures of their “natural” counterparts. Our canvas will be macronutrients like starches and proteins; our pixels will be flavor molecules. Future generations won’t distinguish “natural” from “synthetic” because both will simply be considered food. Consider ethyl hexanoate, although scary-sounding it is the very chemical that gives pineapples their characteristic smell and also fruity wines a tropical note. From pineapples, or indeed other organisms, ethyl hexanoate can be extracted much more efficiently. By sourcing more efficient producers of each of hundreds of different components, wines can be recreated as their originals. Future generations won’t distinguish “natural” from “synthetic” because both will simply be considered food. In fact, by eliminating the variability of natural systems as well as potential environmental contamination, this digitized future of food can increase the safety, consistency, and nutritional profile of foods. Such food products can reduce overall land and resource use and be less susceptible to climate fluctuations. Indeed this future will see significant reductions in the costs of food production as the cost of the raw ingredients shifts to more efficient sources of each molecule. 100 to 300 compounds are responsible for the full flavour of a wine. We knew there would be a controversial love/hate relationship with our mission to build wine molecule by molecule. To the elite who value the high-end wine experience, our molecularly identical creation of the $10,000+ bottle of 1973 Chateau Montelena will be a mockery; but to the public, the $10,000 turned $20 bottle will be a sensation. To the purists who still believe organic is the only way to eat or drink healthily, our wine will get “some knickers in knots”; but to the nonconformists, our wine will be a contemporary luxury made by contemporary technology. In short, wine is just the beginning. Soon, Ava hopes to build more food products molecule by molecule further blurring these lines between natural vs. synthetic while simultaneously making luxury items available for all. With our groundwork, the Star Trek future of food might be closer than we thought. There’s an interesting psychological quirk that makes us yearn for a benevolent, caring Mother Nature that can cure our ailments without any side effects. Academics call it the “naturalness preference” or “biophilia”, and the Norwegians call it “friluftsliv” (literally: free-air-life). Friluftsliv began in 18th century Scandanavia as part of a romantic “back-to-nature” movement for the upper classes. Urbanisation and industrialisation in the 19th century disconnected Norwegians from a natural landscape to which they’d been so interconnected for over five thousand years. Norway’s sparse population, vast landscapes and midnight sun (in the summer months, at least) make it an excellent place for hunting and exploration. These ideal conditoins produced some of the greatest trekkers and hikers the world has ever seen. I’ll show you two heart-warming examples. The first is Norway’s infamous explorer Fritjof Nansen, who (very nearly) reached the north pole in 1896 as part of a three-year expedition by ship, dog-sled and foot. When world war one broke out, Nansen put his trekking knowledge into practice by helping European civilians escape the perils of war and move to safer places. He facilitated several logistical operations in the early 20th century that saw the movements of millions of civilians across Europe. When famine broke out in Russia in 1921, he arranged the transportation of enough food to save 22 million people from starvation in Russia’s remotest regions. Deservedly, he was awarded the Nobel Peace Prize in 1922 for his efforts. The world’s first tourist organisations were founded in Norway (1868), Sweden (1885) with the goal of helping Scandinavian elites in their search for true nature. When the Industrial Revolution brought many indoor, sedentary factory jobs to Scandinavia, workers craved the outdoors that their culture had been in harmony with for thousands of years. Elites in the late 19th century signed up to go on expeditions to escape encroaching urbanisation. Later, in 1892, a group of Swedish soldiers founded the non-profit organisation Friluftsfrämjandet, which provided outdoor recreational activities to the labouring classes with a particular emphasis on giving free skiing lessons to children. Thanks to Friluftsfrämjandet, and the working-time legislations that came into play in the early 20th century, the middle and lower classes were finally able to pursue their obsession with finding nature, or friluftsliv. Hans Gelter, Associate Professor at Luleå University of Technology, writes that even friluftsliv has become commodified in the age of consumerism. He claims that the high prices commanded for outdoor equipment and transportation to remote places act as a barrier between hikers and the nature they claim to be seeking. (Gelter 2000) In Deep Ecology: Living as if Nature Mattered (1985), Timothy Luke argues that outdoor pursuits are now more about testing fancy equipment than finding a deep connection with Mother Nature. Snowboarding is now more about testing the latest boards and wearing eye-catching outfits than it is about enjoying pristine mountain vistas. Golf is now as much about donning luxury clothing brands and using expensive golf clubs as it is about enjoying the outdoors. Even many shower gels and body washes now contain a drop of lemon essence or avocado oil – for which you pay an extra dollar – that adds nothing to the utility of the product. We do this because we crave nature in an industrialised world. My book Fighting Chemophobia (coming at the end of 2017) is approaching 60,000 words in length. 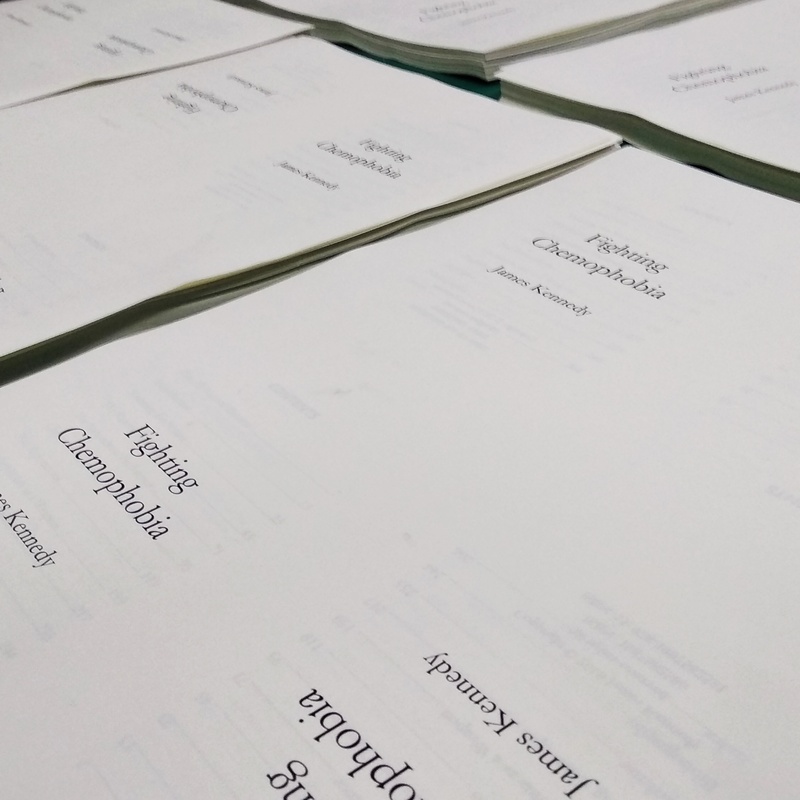 Copious reading and lively discussions with many colleagues and academics is helping to shape the stories in the book. Follow me on twitter to stay up-to-date with the book’s progress. What does the public think of chemistry, chemicals and chemists? How did we evolve the propensity to become chemophobic? Who were the first chemophobes? 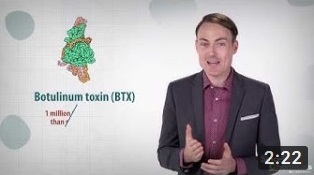 Why have chemists’ efforts to fight chemophobia been to no avail? What’s the ultimate cure for chemophobia, and who’s willing to fund it? What can you do as a chemist to combat chemophobia? Click the above banner to register for the free webinar. 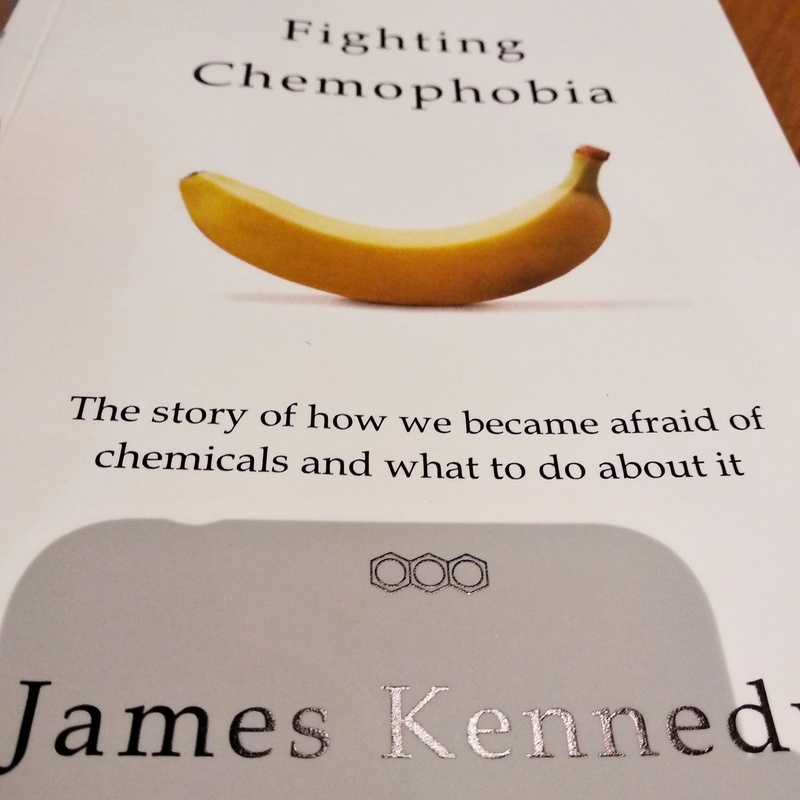 James Kennedy will explore the rise of chemophobia, an irrational fear of compounds perceived as ‘synthetic’, and the damage it can cause in this interactive webinar. We’ll examine its evolutionary roots, the factors keeping it alive today and how to fight chemophobia successfully. Slide from the lecture. Click to register to attend.